Today I had an outfit post all planned out. My youngest brother-in-law graduated high school on Saturday (woop-woop!) and I wore a ’50s style dress. With petticoat. And pearls. And a nice back-rolled hairdo. Aaaannnnd forgot to take any pictures. I had an excuse later in the evening when the wine happened, but still. No pics. Boo. Hiss. Now I’m not going to lie and say they’re healthy, as they are full of peanut butter and chocolate. But…no flour. Zucchini, but no flour. No butter, no oil. 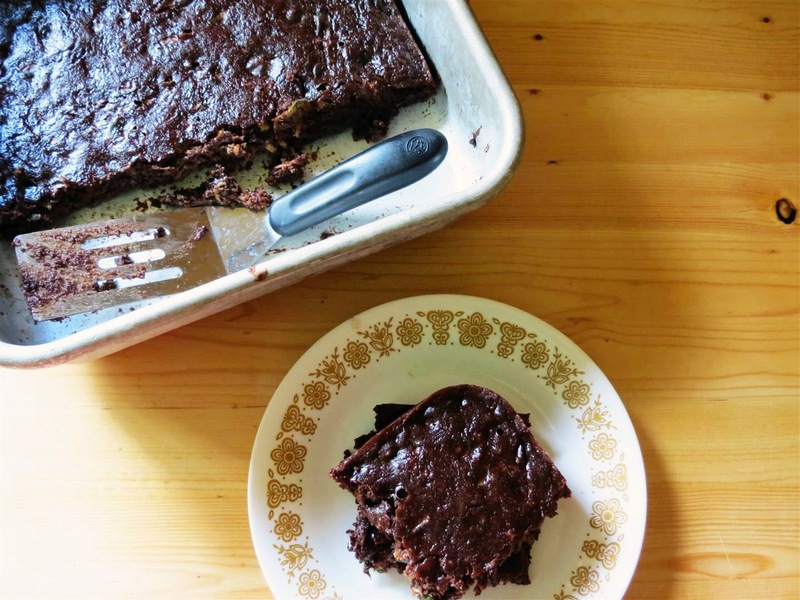 Way less sugar than traditional brownies. And they are DELICIOUS. 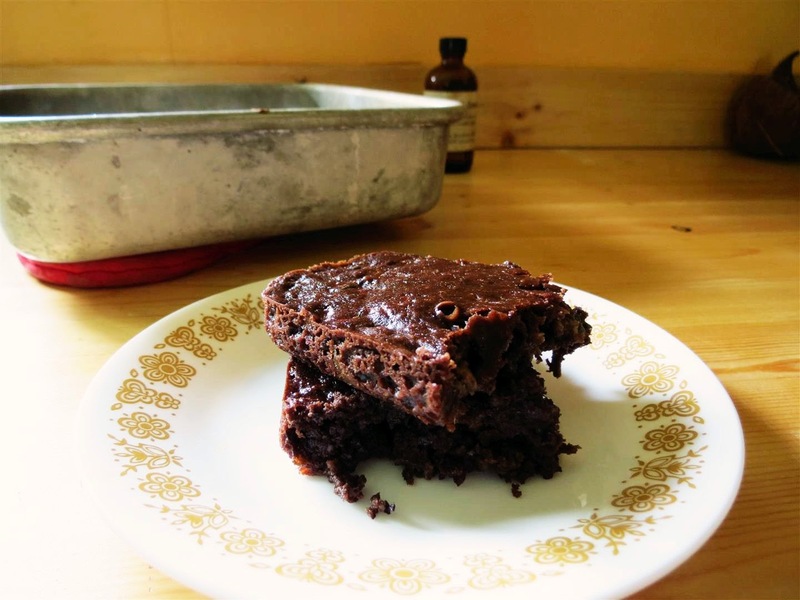 Brownies are my weakness, and I have tried a dozen or more healthier brownie recipes over the years, and this is the only one that comes close to the real deal. Dense, super chocolatey, with an undertone of peanut butter. Oh yes. I went there. 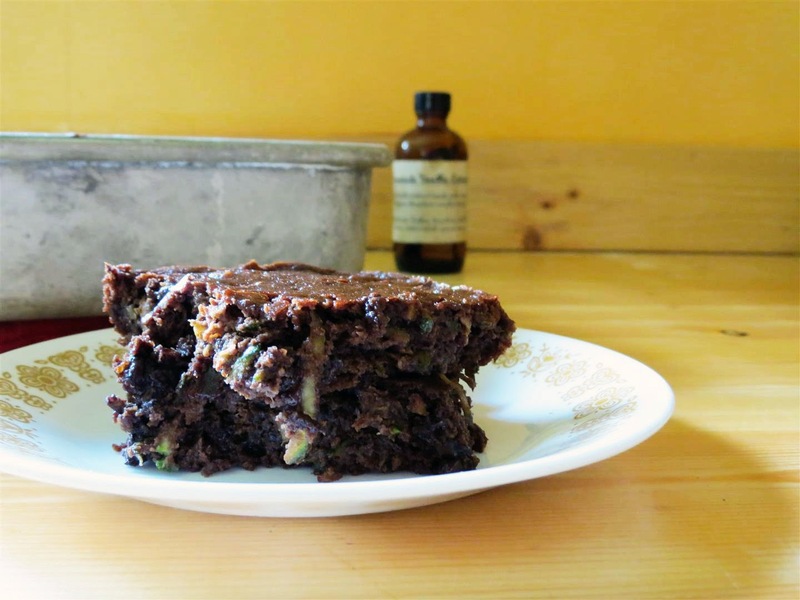 If these brownies speak to you in this voice, then these zucchini brownies might say ‘heeeeey baby’ in this voice. I have a feeling things are getting weirder than usual around here. 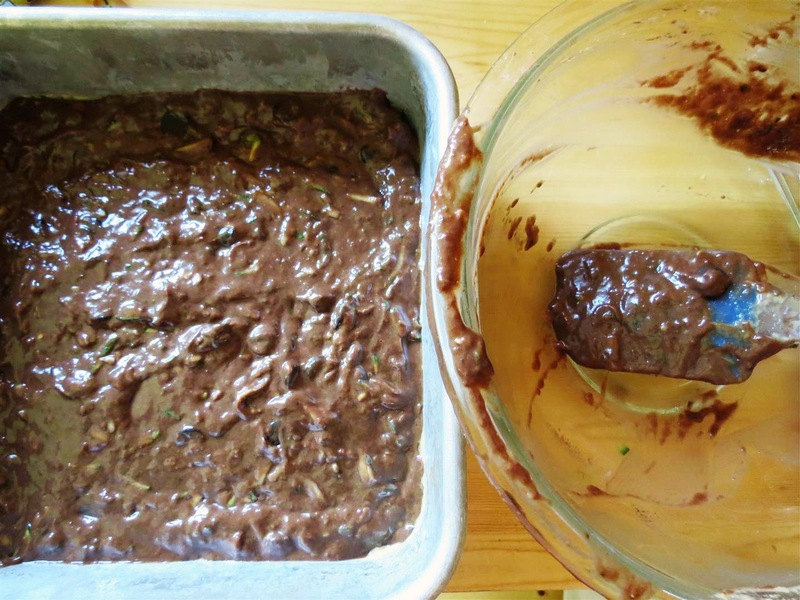 If you need any more convincing, I made these brownies twice in one week. They are that good. The original recipe can be viewed here. I thought the recipe was a good jumping off point, and proceeded to tinker with and change it quite a bit. My version is below. Preheat oven to 350 degrees F. Grease a 9×9 inch pan, set aside. Wash the zucchini and trim the ends off. 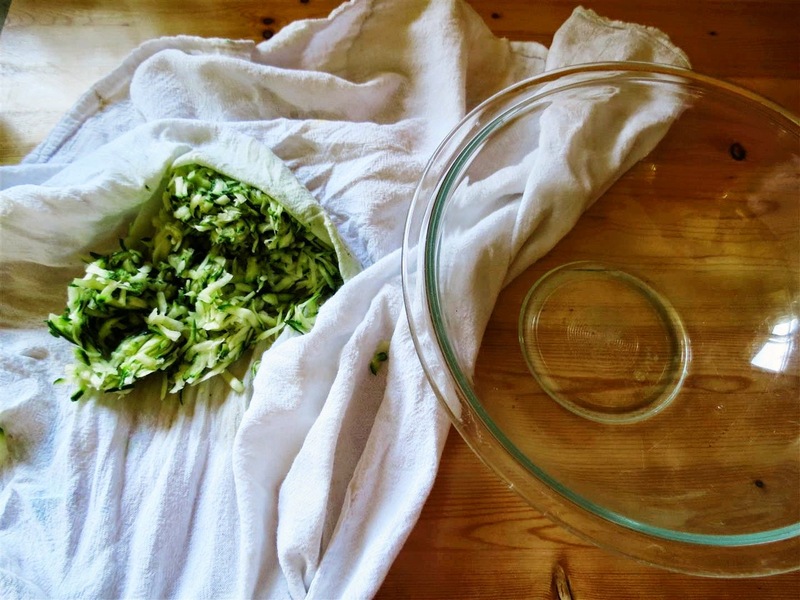 Use a box grater to grate the zucchini onto a clean kitchen towel. Gather up the sides of the towel and squeeze all the excess moisture from the zucchini. Measure out 1 packed cup of the grated zucchini and place it into a mixing bowl. Add the applesauce, peanut butter, and egg, mix well. Add the sugar, cocoa powder, vanilla, and baking powder, mix well. Stir in the chocolate chips. Pour batter into the greased pan and bake for about 30 minutes or until a toothpick inserted in the center comes out almost clean. Got milk? I hear you on the brownie love! I'll have to try these when I can share them. Otherwise, I'd eat the entire recipe myself. Is that a bad thing? Oh man…I think I ate half the pan in a 6 hour time-span when I first made these. I still don't know if that's bad or good. I am trying these on Friday when I have company coming over. Not only do I have company as an excuse but also our zucchini plants are on high production mode right now and I simply need to find away to use it. SCORE!